Our microtomes are designed to meet highest demands on technique and quality. With the launch of our most recent rotary microtome Microtome A550 we continue the sucess story of our microtome series. The fully automatic microtome with motorized cutting drive provides utmost reliability, user benefit and outstanding operator comfort. 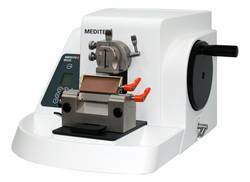 The high section stability and precision turn this instrument into an universal multipurpose microtome for clinical and research labs. 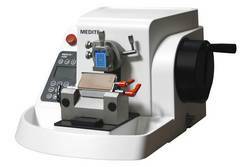 The semi-automatic Microtome M530 is designed to meet the many requirements of clinical and research labs. This goal is achieved by combining high efficiency with ergonomic design and therefore lightening your work load considerably. 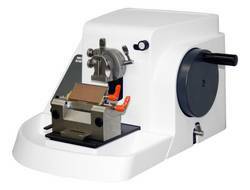 The Microtome M380 is the manual version in our microtome range. Without the neccessity of power connection, it can be placed and used anywhere in the laboratory.